I have a friend, Chris, who lives in France. He was visiting family and friends in July and we had a chance to meet up and catch up on old times and what we've been up since his last visit. It turns out he's working at a bike shop in France. I asked him what type of bikes sell well in France. Well, he said his shop sells lots of trikes but he's seeing a big rise in electric bike sales. I've seen electric bikes at my LBS, but they seem to be pointless. 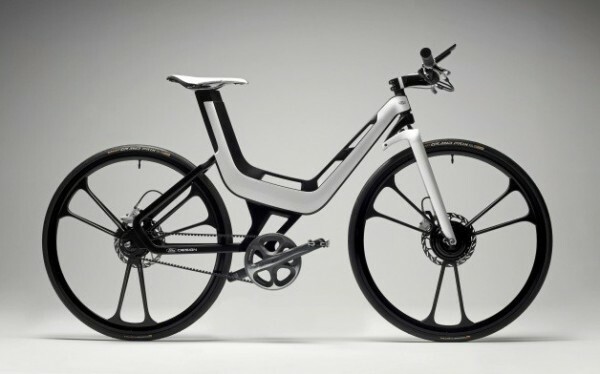 I guess Ford sees E-Bikes as a via market if their working concepts. At the Frankfurt Motor Show, Ford unveiled their 5 lb, 15 mph motor bike. It can go about 53 miles on one charge. That's about the round trip distance to my work and then back home. Where's my wallet! "The recent Frankfurt Motor Show played host to some innovative new concept cars featuring eco-friendly powertrains and advanced in-vehicle communications. And among the advanced concepts on display was Ford’s first foray into the world of bicycling. 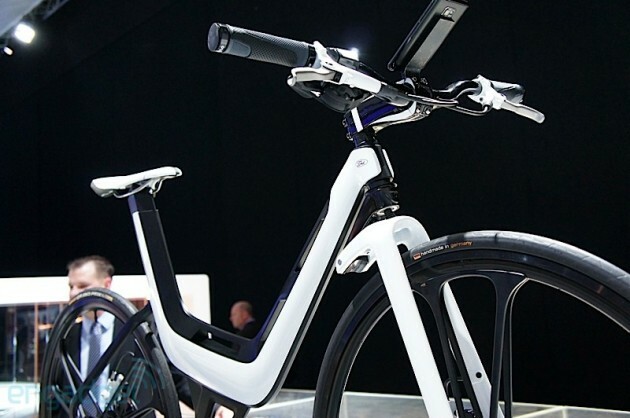 The E-Bike Concept demonstrates how Ford’s automotive design language can translate to a bicycle. 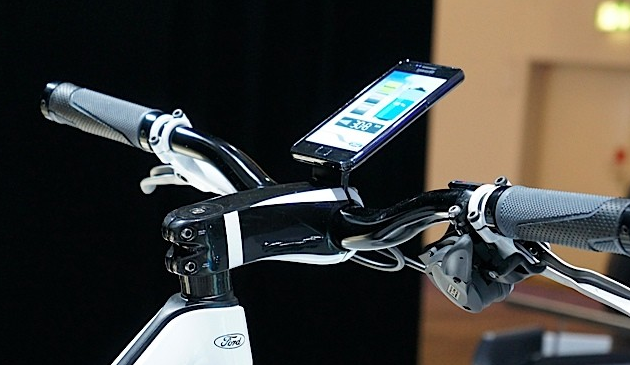 The bike’s frame is made from aluminum and carbon fiber and weighs just 5.5 pounds. It also features a carbon fiber Giant SLR stem, Selle Italia SLR XC saddle, Mavic Elipse wheels, Shimano Alfine 11-speed internal gear hub and Shimano Rapidfire shifters. Tthe E-Bike is far from a conventional bicycle, despite some pretty conventional hardware. It’s powered by a a front-wheel, hub-mounted motor that produces 350 watts and features a 9.3 amp-hour lithium-ion battery. Ford says the E-Bike will cover 53 miles on a single charge and reach a top speed of 15.5 miles per hour. A handlebar-mounted display provides trip information and allows the rider to select from three support modes – Economy, Comfort and Sport."